Before you start your back to school shopping, check out this list of the top five back to school clothing essentials. If your child is in the middle of a growth spurt, you may want to consider breaking this list up a bit and only buying one of each of the essentials. You can always add additional pieces to the wardrobe later. What fashion essentials does your child need this year? The top five back to school clothing essentials list includes the basics in fashionable new styles. Children tend to wear out socks quickly, and then there is the "sock monster" that mysteriously seems to eat one half of a sock pair. A new package of socks is almost always essential for a student's back-to-school wardrobe. Today's socks aren't just plain white ankle socks, although those have their place. Socks now come in a huge range of styles, colors and textures. Socks come in many lengths as well. Available lengths include no show socks, ankle socks and even knee high socks. If your child has sensitive skin, you might want to consider seamless socks for her. Several new pairs of jeans are vital, unless your child wears a uniform or his school has a dress code the prohibits denim. For most students, not just any jeans will do. There are brands that are more popular than others and styles that come in and out of fashion such as skinny jeans. Tween and teen students seem to prefer Abercrombie, Aeropostale, Gap and Hollister. Younger students may not have as much of a brand preference, but will still have an opinion on which jeans are most comfortable and look the best. The great thing about T-shirts is the relative inexpensive cost of purchasing these simple tops. You won't have to spend a lot of money to get a nice selection of shirts for your child to wear to school. 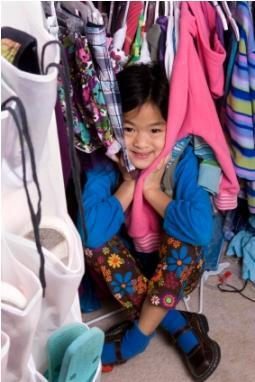 Since most families are on a budget these days, it might be a good idea to take buy just the essentials for the beginning of the school year and then add to your child's wardrobe a little at a time. By shopping sales and watching for the best deals, you'll be able to save a bundle. Your child will still be able to go to school in style and have everything she needs for a day of learning.